Even the master of horror himself Stephen King would have struggled to pen the narrative that is the last twelve months of Aston Villa’s history. The once-proud Premiership club have seen off three managers – Paul Lambert, Tim Sherwood and Remi Garde – lost their best players, become the league’s whipping boys and face an inevitable and chastening relegation to the piranha tank that is the Championship. Oh yeah, their players are also getting tangled in feuds with fans over social media. Good times. 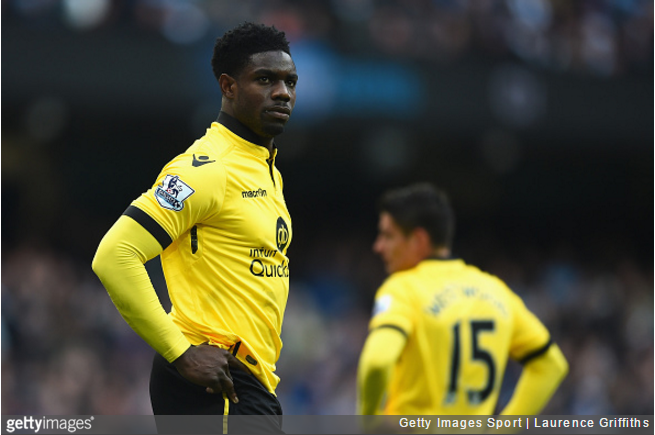 Given the flack that Joleon Lescott took for ‘accidentally’ tweeting a picture of his flash, expensive car after a 0-6 thumping from Liverpool, then defender Micah Richards definitely won’t have endeared himself to the Villa Park faithful after being goaded into a haughty response to a photo on Instagram. Both Richards and his teammate Gabby Agbonlahor took the recent international break as a reason to head off to Dubai for some fun in the sun. A little too much fun as it happens, with our man Gabby being splashed across the national press with a shisha pipe in his mouth. Instagram fan account upthevillautv uploaded a photo – since deleted – that took a not-too-subtle swing at the pair only for an enraged Richards to respond in kind. As you might expect, that didn’t go down too well with the Villa faithful who let Richards know in no uncertain terms how little they thought of him and his contribution to Villa’s worst season in living memory. All in all, it’s another grim chapter in the tale of the Premier League’s latest ‘crisis club’. Can somebody at Aston Villa just take the players’ phones off them, please?! Most King novels have horrible endings, so that’s a very proper comparison! By every one at Avfc. Even the fans no longer want them here. Heaven forbid these players want a break. What a difference to 30 years ago, when it would have been a 7-hour booze & “hookah” binge of a different sort getting the headlines. 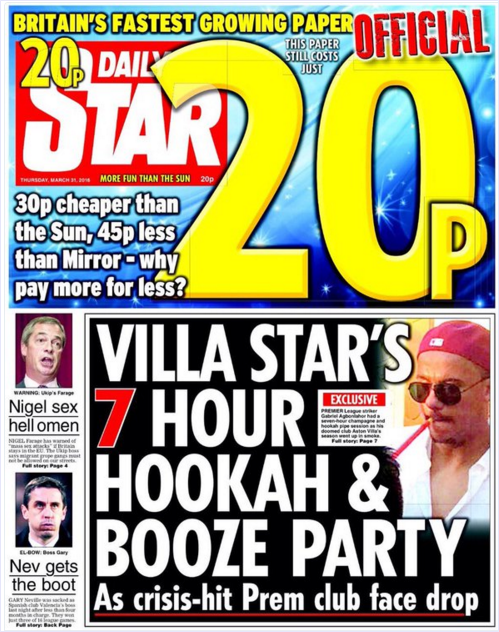 What is it with the media demonisation of hookahs anyway? They make them out to be akin to smoking weed!